In a promotion reminiscent of Willy Wonka & the Chocolate Factory, McDonald's Japan is giving away an 18-karat gold chicken McNugget worth about $1,650. 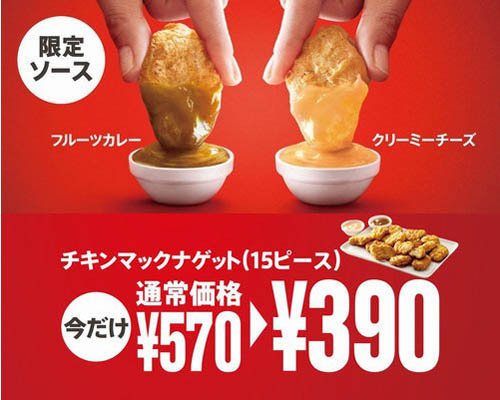 The contest is designed to generate a viral buzz for two new dipping sauces, "Creamy Cheddar Cheese" and "Fruits Curry." 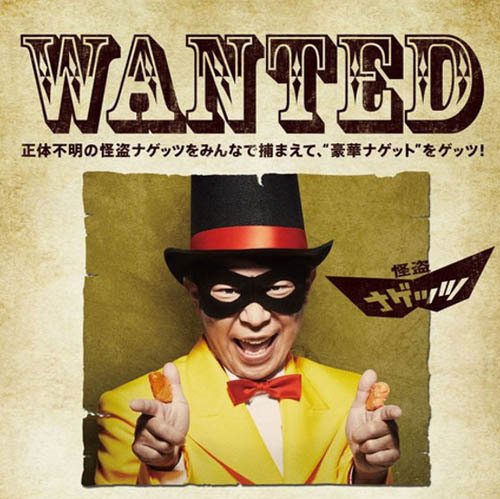 But, unlike the famous Golden Tickets, which were randomly hidden in five Wonka Bars, the McDonald's promotion requires participants to post to social media the whereabouts of a yellow-suited, nugget-crazed Hamburglar-looking villain named Kaito Nuggets. The masked mascot, also known as "Phantom Thief Nuggets," will be touring McDonald's outlets throughout Japan. If a patron spots Kaito and posts his location on Facebook, that person will get a chance to win the gilded grand prize. McDonald's also will be giving away 21 lesser prizes, including a 39-day supply of five-piece nugget meals. That adds up to 195 nuggets. “[Kaito] may appear in some of McDonald’s restaurants [throughout] the country, may throw out a ceremonial first pitch for a professional baseball game, or pay a visit to a prefectural governor making a surprising request entertaining people,” McDonald’s Japan explained in a statement. Kaito Nuggets reminds us very much of the Hamburglar, a character McDonald's introduced in 1971 and then refined in 1985 and again in 2015. 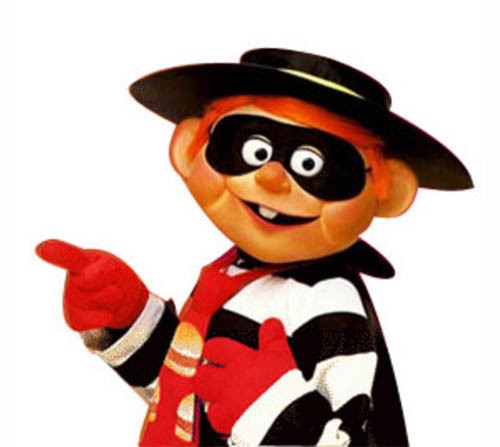 Originally a trollish old man, the Hamburglar was recast as a childlike, more lovable character in 1985. In 2015, the Hamburglar was reintroduced as a grown man wearing a fedora, trench coat, red boots, red gloves and skinny jeans. 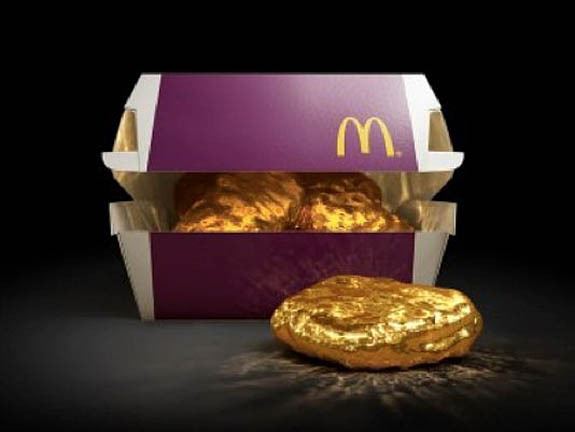 The golden McNugget contest starts today and runs through June 28. Credits: Images via McDonald’s Company (Japan) Ltd.